The Mercedes SLC given a new look by Piecha Design. 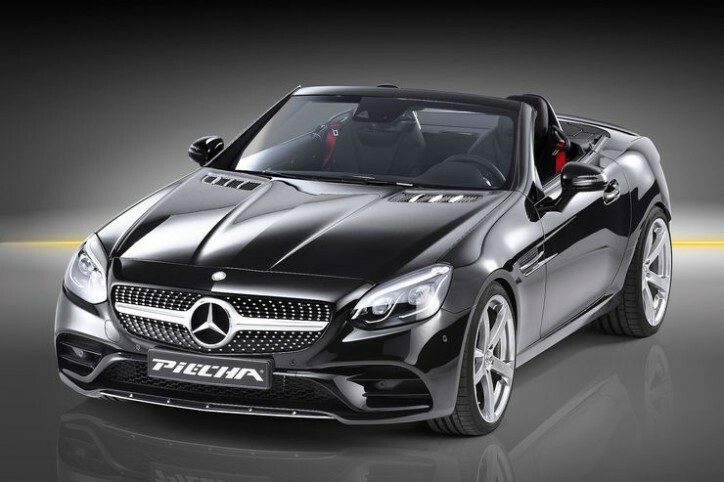 Piecha Design recently unveiled its new work involving the Mercedes-Benz SLC. Based on an article by Auto Motor und Sport, the upgrades are simply cosmetic in nature, which can be seen in the pictures here. The Mercedes SLC is definitely a thing of beauty. It carries with it the legacy of the SLK, which began 20 years ago. From that time, it has evolved into what it is now. However, the specialists at Piecha Design think that they can still make further improvements with the convertible. 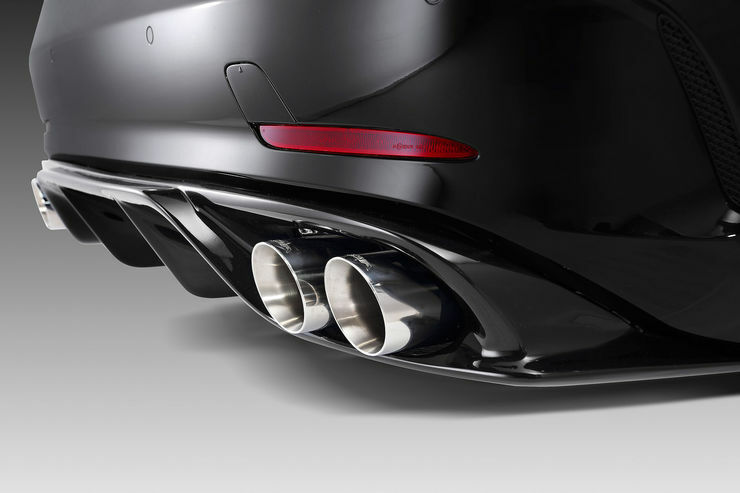 According to the Google translation of the source, the SLC was equipped with custom rear diffuser plus tailpipes with 90mm diameter. 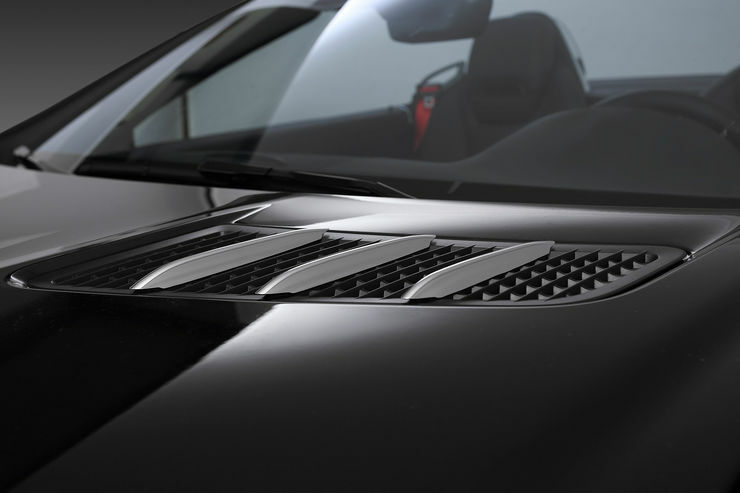 It also features lowering springs bringing down the riding height of the convertible by 25mm. Then it was fitted by 19-inch wheels wrapped in tires measuring 235/35 in front and 275/30 in the rear. 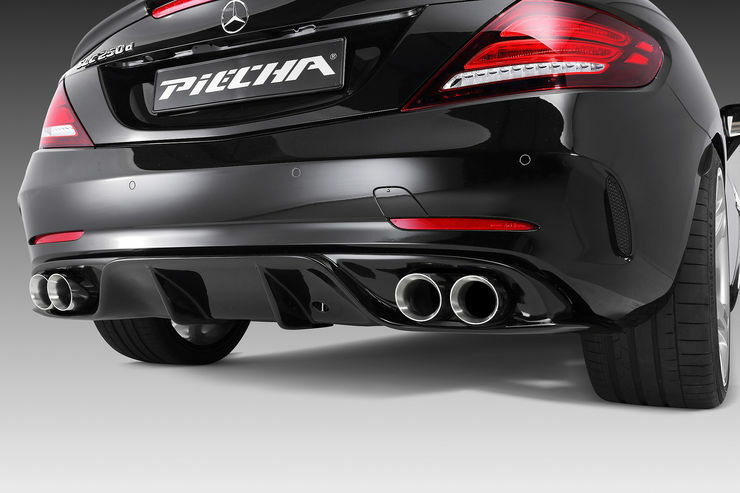 In addition, Piecha Design placed a new rear wind deflector on the car. 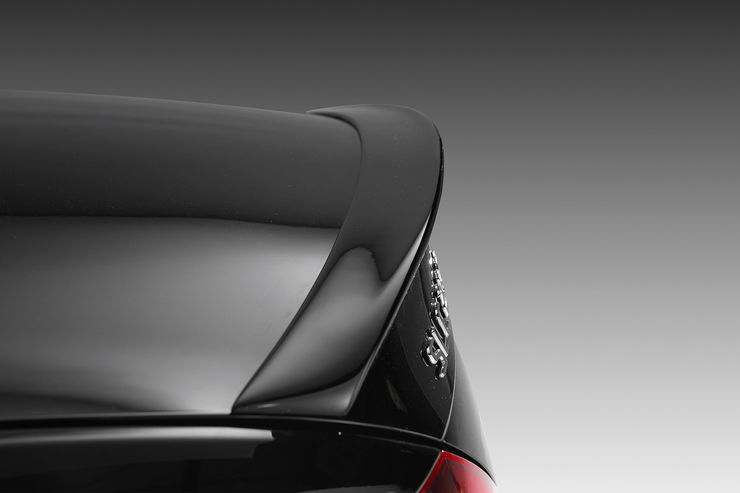 Furthermore, chromed Aero Wings were installed on the hood. Moreover, the tuner imbued its signature Vario roof module on the SLC. This allows the roof to be operated by remote. Lastly, the throttle response of the car has been improved thanks to a Piecha’s Power Converter. There was no word about any boost in the horsepower of the car as the updates appeared to be in the design only.